Starting a blog is a great way to promote yourself and your business. 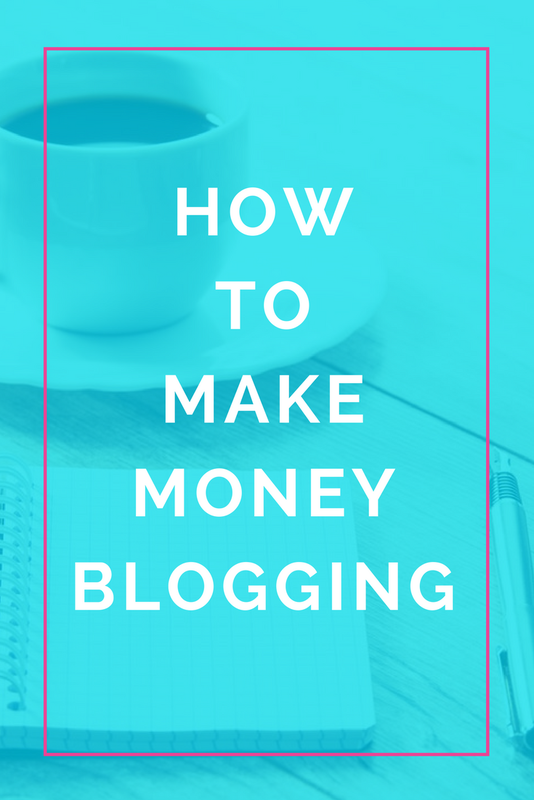 Many people love blogging but aren't sure exactly how to monetize it. It's great to write new blog posts, but just creating new posts is not enough to make money. You need to have a strategy. This article is going to show you how. Your blog posts need to be leading the reader to eventually make a purchase with you. You need to be clear with yourself on what exactly it is that you are going to sell. A clear business plan for your blog can help you determine what you should sell and exactly who you should sell to. If you offer freelance services, you can use your blog to showcase your expertise. This will allow you to create know, like and trust with your readers who you can eventually sell your services to. In this case, your blog would be a way to do personal branding. So to be effective with this, you want to have a picture of yourself on your website and in your blog posts. You should also make sure that in each blog post, there is a way for you to get people to sign up for your email list. Once people are on your email list, you can continue to nurture the relationship and eventually promote your services to them. You can decide to sell whatever you want. This can include vitamins, things you make yourself like crafts, clothing, makeup... whatever you want. To summarize it in a simple way: in order to make money with your blog you need to use it to attract people to your site and then promote your products at the end of each blog post. Lots of bloggers are selling handmade items through their Etsy store. You can use your blog as a landing pad to attract people and then have links to products from your Etsy store. You would need to make sure that you write blog articles related to the items that you are going to sell. Digital products like online courses are hot right now. That's because online education as an industry is really growing. You can create your own online course on a topic you have experience with. For example, you can create a course on how to blog for beginners, how to do Pinterest marketing, how to do gardening, how to start a craft business....etc. Choose whatever topic you have a passion for an create a course. You can charge anywhere from $17 to $1,000 and even past that. The key to selling anything through your blog is to make sure that you collect email addresses. I will explain how this works towards the bottom of this article. Membership sites allow you to have recurring revenue each month. You create content like videos, templates and printables and then people pay a monthly subscription fee to access it. If you charge 100 people $50 per month, you can easily make $5,000 per month in recurring revenue. So many companies have affiliate programs where you can earn a commission by just sharing a link to a product. This is a great way to earn passive income (although there is some work involved like actually blogging). The key to making money from your blog is to build up an email list. This is really crucial. You MUST have a way for people to sign up for your newsletter or a content upgrade. Make sure each blog post has a sign up form for your newsletter that is clearly displayed. You can also create a free ebook, a guide or a worksheet to get people to sign up...this is also called a content upgrade. Pinterest is a free way to drive traffic to your blog. Create eye catching images with great titles promoting your blog posts. People can also find you through Search Engine Optimization or SEO. You will need to place the right key words in your blog articles. You'll also need to post new blog updates each month and build up "backlinks" in order to build up your domain authority with the search engines. If you have a budget, you can spend some money promoting your blog through Facebook Ads. The best way to really be effective with Facebook Ads is to promote a piece of content through a lead magnet or "freebie" so that you can build up your email list. And then you can share your blog articles on your social media accounts. Learn How to Become a Social Media Manager With This FREE Guide. All of this is great, but at the end of the day you really need to sell something in order to make money. Your blog allows people to get to know you before they make a decision to buy something from you. So you want to write educational blog articles, help provide a solution to a problem or tell a personal story. If you love to write, your blog can be a powerful tool for bringing in money each month. It can give you the freedom to travel and be location independent.